It’s boot season! 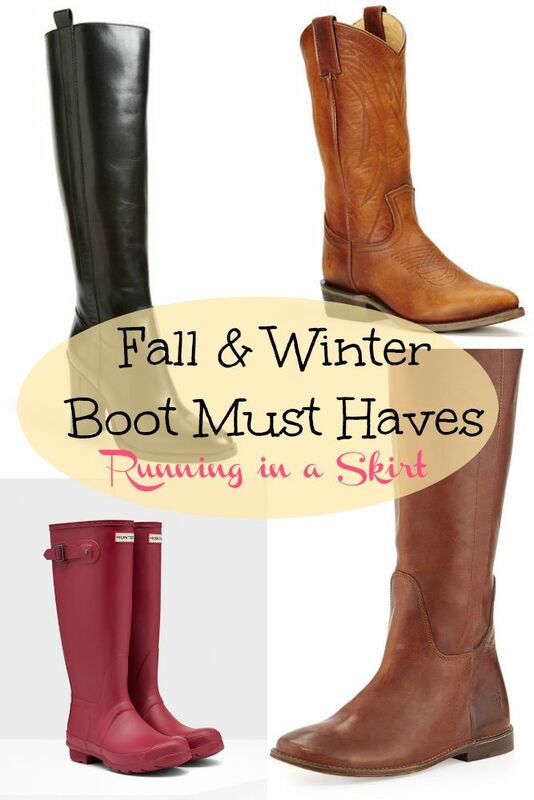 Check out some of my favorites for this fall and winter season- steal & splurge style! Happy fashion Friday, dear readers. To be completely honest, spring and summer is my jam. I am not one who starts gushing about the glories of fall as soon as the first leaf turns. I’d love to live in a constantly 80 degree climate! However, I am also someone who tries to find a positive in any situation. Fall and winter isn’t all bad. And I do have to admit, boots make winter more fun. I’m a certified shoeaholic and boots get a really special place in my heart. So today, I’m sharing which boots are at the prime of fashion this season! The ones I have and am looking forward to wearing this year. As usual, I’m sharing boots at different price points so everyone can get in on the boot loving action. Riding boots are at the pinnacle of fashion right now, which is amazing because they are comfortable and go with so many things. I still have my Ralph Lauren pair from last year that I will be rocking, I love these picks as well. Fringe is hot right now and so are booties! I adore these fringe booties and think they are the perfect addition to your boot collection for this year. My Mother-in-law gave me a pair very similar to these at the end of the summer and I’ve really enjoyed styling them this fall. In my opinion, every girl needs a classy pair of tall black dress boots. They get your through winter in style and get you out of wearing work pants all the time. I feel like these are more of an investment piece that is not very trendy, so I’m willing to spend more money getting a quality pair. I am still rocking a very classic pair I bought several years ago, but I also love these picks. Not only are rain boots crazy functional, they are actually very much in style right now thanks to the rise of the Hunter brand. Once again, thanks to my Mother-in-law I’ll be rocking my brown and black Hunter boots all season. No surprise here, but I love a classic pair of cowboy boots as a statement piece! I got my pair in Nashville over three years ago and they are just as fabulous as ever. A good pair fits well and looks better with time! I love pairing them in unexpected ways. So those are my favorite fall boots for the season! Happy shopping! The above links are affiliate links with ShopStyle and I do receive a small commission for clicks and purchases. Thank you for your continued support of Running in a Skirt. Thank you for taking the time out of your day to read Running in a Skirt! I hope to see you Monday where I’m talking about healthy options for our pets! The Rhett-ster is going to show off his favorites. I’m linking up with Nicole for the Fit and Fashionable linkup, Tara for Fashion Friday, Fashion Friday , Joylynne Shane for Fashion Friday, Turning Heads Tuesday and Bloggers Who Inspire Me. Thank you so much for the lovely linkup ladies. What are your favorite kind of boots? Any boots to add to the list? There is no doubt that We girl love shoes,heels and sandals & often try to purchase new & trendy footwear.All long shoes are so beautiful i can’t describe.Its more than awesome.The pink & purple shoes really stole my heart and i wanna purchase those as soon as possible.Thank you for such a great post. I definitely can’t wait to get my hands on some frringe booties, thanks for sharing these. Thanks Rachel! I hope you have a good week! Oh, those Sam Edelman fringe booties are amazing! The steal looks pretty fantastic, too. I recently picked up some red Hunter Touring Boots and Love them! Thanks for linking up with Fabulous Friday, Julie! LOVE the roundup! I just went boot shopping this weekend and snagged some riding boots I love, plus a great new pair of black ankle boots. I fought the ankle boot trend for a long time, but now I think they’re my favorite! I did the same thing! It was’nt my favorite… but now I’m hooked! Beautiful boots! I’m becoming a real fan of wearing boots I have to admit! The fringe booties are really cute! Thanks for sharing these great fashion choices. Thanks Debbie! Those are my favorite so far this year! I know! I need to visit there someday! All awesome boots! I have a tendency to splurge on my boots because I find the cheaper ones are just that…cheap. Sometimes a few key items are worth the splurge! I agree! I do splurge on boots! Girl. My boot collection worth more than my car. Your list is great! I live in my Weitzman 50/50 black suede boots all fall/winter. They’re another great go-with-anything classic. Ohhhh!!! I knew we should be friends 🙂 Those sound fabulous! Mine are probably worth more too-haha! I love booties and riding boots! I just recently bought some rain boots that I’m excited to wear more! I loved your picks! Have a happy weekend! I’m glad boot season is finally here. I love wearing them with tights and leggings.I definitely love a steal! You can’t beat a sale! I like to pick up the splurge ones at the end of the season! I’m a boot girl–I come by it honestly with the horse background! But that also makes me very picky, lol. I bet! “Real” boots are the best! OMG, I am all about boots in the fall, and this is making me want to raid my closet, even thought it still feels like summer here in Central Cali, haha..
Haha! I’ll come and visit you! It’s 30-something out there right now! Yuck! Ahh!! How exciting! I bet they are awesome! Can’t wait to see them! Sad but true!! It’s hard with boots. If I’m going to wear them a lot for multiple seasons– I splurge. You don’t like fall that much? Can we trade places?! It’s probably going to be 90 again here in Texas! I am so ready for boots. Boots are definitely my guilty pleasure when it comes to shoes. I love how you showed a splurge and cheaper version. I really need to get some good cowboy boots while I’m in Texas. Everyone says it’s the best place to get them but they’re not cheap! Yes! You need them. My real pair I splurged on look just as good now as the day I bought them and they are 3 years old! Love this great idea! Love my boots and can’t wait to take them out! Me too! It’s in the 30s here today so I think they are coming out! I like your splurge and steal concept. Thanks! Trying to give lots of options! I do love my boots too! and a cute pair of cowboy boots should be a staple! I am definitely thinking some of those fringe booties will be a purchase for me! TGIF! I think they would look great on you!